A few weeks ago I found what had to be one of the best DIY stripping baskets ever for travel, made by my friend Paul Prentis. It’s slightly involved, but very easy to create and very effective. I’ve now found another… It’s so simple I almost hesitated writing it up but was looking for something last week while on the beach in Mexico. All you need is a box, some twine, rope or even heavy mono wrapped in some tape—up top. 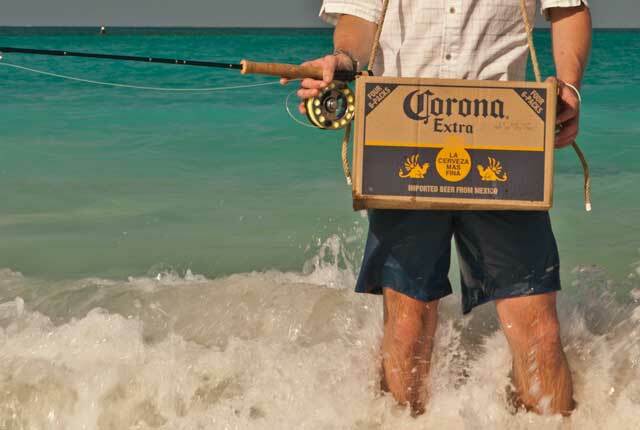 Personally I think the Corona box is a nice touch, but it could obviously be any type.